IRS is the biggest collection in the World! Call us for Tax Help! Lien or Wage Garnishment Notices? Don't fight the IRS alone when you can hire a team of Tax Practitioners to represent you. You may not owe as much as the IRS says you do. Have one of our Tax Specialists help you today. Tax Leaders Of America provides world class personalized tax preparation services. We offer the tailored experience that you expect from your tax preparation professionals, and we operate remotely so you never need to leave your office. 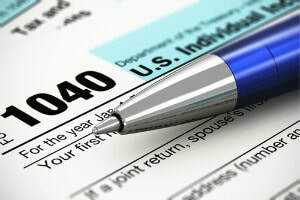 ​Our Tax Mediation and Tax Resolution Staff will represent our clients against the IRS. We are licensed tax professionals that work diligently for our clients to solve tax debt issues. "TAX LEADERS OF AMERICA®" values honesty, integrity, hard work, and strong customer service. As a tax relief provider we are very dedicated in helping US taxpayers overcome their tax situations and we do this with the utmost care and respect for each clients' individual tax situation. Our Goal is to continuously ascend in the tax service industry. One way we do that is by making certain that "TAX LEADERS OF AMERICA®" services are affordable. ​Offer in Compromise, Installment Agreements, IRS Lien Release, Penalty and Interest Abatement, Removal of Bank Levies, End Wage Garnishment, Stop IRS Notices, Currently Not Collectable Status. "TAX LEADERS OF AMERICA®" experienced enrolled agents and tax preparers have successfully settled thousands of cases with the IRS. ​Every problem has a solution. Our team of enrolled agents, tax prepares and customer care will work hard to achieve the best possible outcome. Experience combined with passion creates great results. Your satisfaction is our top PRIORITY! ​Don’t repeat the same mistakes and wind up with the same problems. We can prepare and file your taxes on an ongoing basis. We will remind you of the necessary documents we need and keep you in compliance year after year. Another benefit – peace of mind! The Better Business Bureau (BBB) is a private, nonprofit organization that provides services and programs to assist consumers and businesses. Tax Leaders Of America is a BBB accredited business. This means the BBB has determined that Tax Leaders Of America meets BBB accreditation standards, which includes a commitment to make a good faith effort to resolve any consumer complaints. ​We serve taxpayers throughout the entire United States. Our Power of Attorney to represent taxpayers before the IRS is valid in all 50 states. We can also legally represent U.S. taxpayers living abroad. So no matter where you’re living, if you owe the IRS back taxes, Tax Leaders Of America is ready to help you resolve your tax debt. Tax Leaders Of America EA's are member(s) of the National Association of Enrolled Agents (NAEA), a leading national organization representing enrolled agents (EAs). Its members are licensed by the U.S. Department of the Treasury to represent taxpayers before all administrative levels of the Internal Revenue Service (IRS), including examination, collection and appeals functions. ​Tax Leaders Of America is a proud member of NATP, the largest organization dedicated 100% to tax professionals and their success. We exist to boost your expertise and credibility through unmatched tax education, industry-leading federal tax research, up-to-the minute tax code insights and services and supplies to support your business. Our members know that through their service to taxpayers, they are putting more good into the world. Enrolled Agents are America’s Tax Experts. We are federally-licensed tax practitioners who specialize in tax preparation and have unlimited rights to represent taxpayers before the Internal Revenue Service. If you get a letter from the IRS, or worse, are audited or are the target of a collection action, your EA can speak directly to the IRS on your behalf. Enrolled Agents are trained in a wide variety of tax situations, both common and unusual. With tax laws changing yearly, it’s more critical than ever to consult with a qualified tax specialist on your tax and financial strategy. The Enrolled Agent license is the highest credential the IRS issues. Be confident about your tax return – use an Enrolled Agent. Yelp Reviews help us provide service to our local and immediate community. We value and appreciate each client review. Our hard work pays off! Yelp is just another avenue for potential clients to read what current and past clients of Tax Leaders Of America have to say about the company and staff members. $0.00 - $5,000.00 $5,000.00 - $10,000.00 $10,000.00 - $25,000.00 $25,000.00 - $50,000.00 $50,000.00 - $100,000.00 $100,000.00 - $150,000.00 $150,000.00 - $250,00.00 $250,000.00 - $500,000.00 $500,000.00 - $750,000.00 $750,000.00 - $1,000,000.00 $1,000,000.00 - or more Not Sure How Much? A Live Agent will Contact you shortly..
FREE TAX ANALYSIS: (888)959-7837 24 hrs A Day 7 Days A Week!